We'd be delighted to show you around the centre so you can get a feel for it and decide if it's right for you. Physical Education (PE) and school sport are at the heart of school life at Victoria making an outstanding impact on our students’ lives. All students have access to one PE lesson a week and one swimming lesson a week. The curriculum is diverse and fun; we pride ourselves in delivering a specialist curriculum that meets the needs of every student. Many students will also have the opportunity to take part in rebound therapy as part of their PE curriculum. Developing students self esteem, teamwork skills and communication through Physical Education is a key priority. Most of all, sport at Victoria is about having fun, conquering challenges and working to achieve potential at all times. We continually strive to ensure every young person has the opportunity to do this. In Key Stage 4 we offer a qualification that is designed to build on skills already learnt and prepare students for further qualifications. In Post 16 we offer Sports Leader L2 Award, specifically to develop confidence and communication skills. We also offer the GCSE PE qualification to allow students to be challenged and lead to opportunities for students to continue Sport beyond Victoria. Alongside these academic qualifications we also offer students the opportunity to take part in the Duke of Edinburgh’s Award Scheme, supporting students through the programme from Bronze right through to Gold. This year the students are working hard towards a Gold Expedition that will include a trip to NASA in Florida! At Victoria we are able to provide opportunities in an array of specially designed sports facilities. Each facility is modern and was designed with our students’ needs in mind. Every area has its own unique equipment to enable the skilled staff to offer the very best opportunities to every student no matter what their ability, enabling our students to have the very best sporting opportunities. The school is very fortunate to be able to boast a hydrotherapy pool, fully equipped with light and sound to make the whole swimming experience a sensory and sporting opportunity. During swimming lessons all students work towards completing swimming badges that mark their individual achievement. We offer a range of sports clubs every lunchtime and after school clubs run 4 nights a week. These clubs provide a variety of opportunities for students to have fun, socialize, develop their skills and enter competitions in their sport. 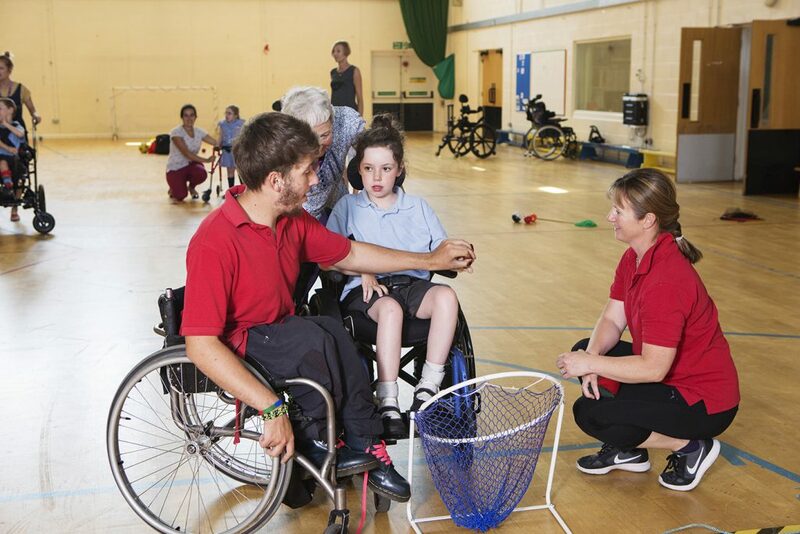 Students can compete in nationally recognised activities such as Swimming, Athletics, Boccia and Table Cricket. Further opportunities include celebrating Sports week, giving students the opportunity to experience different sports, including outdoor and adventurous activities. Sports Day is also an exciting opportunity for the whole school to come together and celebrate teamwork and fun, it always involves water and dressing up! Being successful in sporting events is just a small part of the success that students can celebrate. Each week students are rewarded for doing their best in PE through the school based reward structure. Each term we join together with the whole school in our hugely popular Sports Assembly. Students watch videos and remember key moments in the term and aspire towards the termly sport awards especially our Endeavour Trophies. The assembly gives us the opportunity to recognise students who have not only achieved a great deal but to those who have tried their best and make good progress.